An AMD technical engineer has accidently let slip that team red are working on a GDDR6 memory controller. With HBM2’s high cost and limited availability, AMD may be looking for a cheaper memory solution for their next full graphics card generation. Don’t want to wait for the latest GPU tech? Here are the best graphics cards on the market. 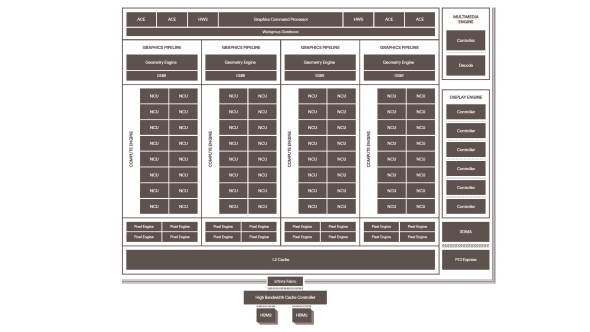 They’ve been championing high-bandwidth memory in the latest AMD Vega graphics card architecture to… mixed results. On the one hand, this aptly-named stacked memory offers huge bandwidth gains compared to GDDR5. However, in real-world gaming performance, it’s not been as devastating to the market as AMD might have hoped. Of course, it’s no surprise that it also costs an arm and a leg to manufacturer by AMD’s partners, and they can’t get HBM2 modules out quick enough. To combat these issues, AMD may be looking to shift over to the emerging GDDR6 memory. This memory spec bumps up advancements made to GDDR5X, and according to an AMD technical engineer’s LinkedIn profile, AMD have been building a new memory controller for this speedy tech. It had seemed likely that AMD would stick to HBM2 for at least another graphics card architecture, but with these on-chip modules causing so many issues for Vega, it wouldn’t be surprising to see the red team ditch HBM2 for budget and mainstream cards, at least. The memory’s high cost is an extremely limiting factor in potential successors to the mainstream RX580 and RX570 Polaris graphics cards. It would likely be cutting it too fine for AMD to change up their 7nm Navi designs if they intend to launch in late 2018, but if we’re looking at an early 2019 launch for Navi, maybe. It’s not impossible for their future consumer cards to feature GDDR6 memory, taking some design cues from Nvidia’s tiered memory approach between GeForce and Quadro cards. From what we gather, Vega’s memory controller is connected to the GPU through their Infinity Fabric tech and not integrated into the GPU die itself. If Navi follows a similar concept… a little interposer incision here, and boom – goodbye HBM2 (grossly oversimplifying). It may be that AMD are looking ahead, past Navi, to whatever lies beyond the fog of corporate secrets. 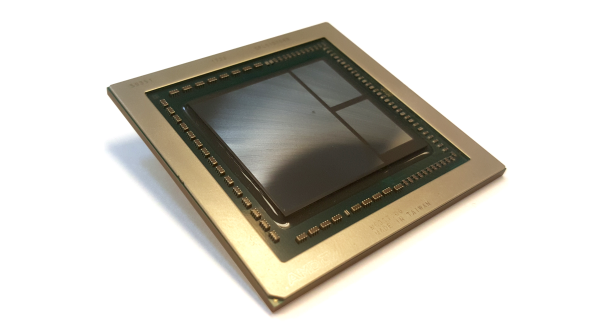 However, sticking with HBM2 could lead to a tricky year with Nvidia’s Volta on the way. Of course, there is also the mysterious 12nm Vega refresh in 2018 to consider… could that feature GDDR5 or GDDR6 memory tagging in for HBM2? As long as power consumption is no longer an issue… possibly. GDDR6 should offer some respite from AMD’s memory pricing and supply woes, and still offer plenty of competitive performance for AMD’s budget and mainstream cards. Again, AMD’s plans are foggy at best – what are AMD’s plans for the Vega refresh, and will we see another Polaris refresh before Navi? AMD’s GPU roadmap currently seems about as grounded as Felix Baumgartner, and we’ve seen very little indication to how AMD’s Radeon division will put together the upcoming graphics card product stacks. With Raja Koduri out of the picture, AMD are in desperate need of a someone at the helm, keeping RTG on track.